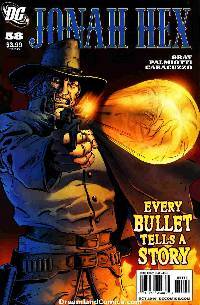 When you live the kind of life that Jonah Hex has, you learn that every bullet tells a story. This is one of those stories – one of betrayal, violence and immeasurable greed! Featuring the art of rising star Giancarlo Caracuzzo (Cable)!